I’m beginning to notice a pattern in Renee Carlino’s books – she likes to make the reader cry. The first book I read by her was One True Loves and it was so emotional. I cried at least twice in that one. Wish You Were Here was worse; it made me cry even more! My heart was shattered, my soul was crushed, and it took awhile to recuperate after this one. Charlotte was such a great character to read. She went from living life aimlessly to living life to the fullest, and there was a reason for that, but that reason was so sad! I can’t say without spoiling, but for awhile I had no idea in which direction the book was going to take. Once it all came to play I could not stop the tears. There was at least twenty to thirty pages of straight sadness. Another great character was Adam. I will never forget this character. He was unbelievably sweet, charming, handsome, and the chemistry between him and Charlotte made me believe in love all over again. I could go on for a full page talking about how sad and wonderful Wish You Were Here was, but it should be read to experience the full effect. 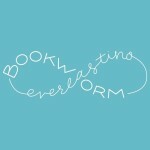 If you’re a crier, like me, when it comes to books be prepared. Have a box of tissues, maybe some chocolate, possibly someone to hug afterwards. Trust me, you’ll need it. 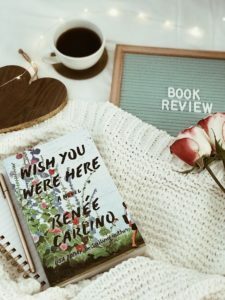 I read Wish You Were Here this Summer and I absolutely loved it! You’re very right, though, it definitely makes you cry. A lot.